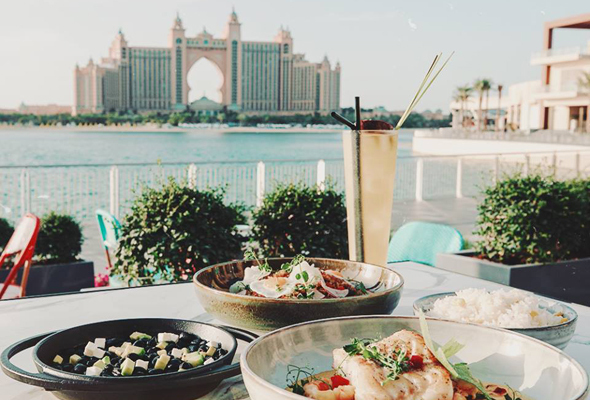 Found at the tip of the Palm Jumeirah, facing Atlantis, The Palm, The Pointe is a new destination by master developer Nakheel, featuring 1.4 million square feet of shopping dining and leisure activities. Since the grand opening in December, more and more restaurants have opened their doors, turning The Pointe into one of the city’s fullest new foodie destinations. Here’s a guide to all the brilliant new restaurants you’ll find at The Pointe. 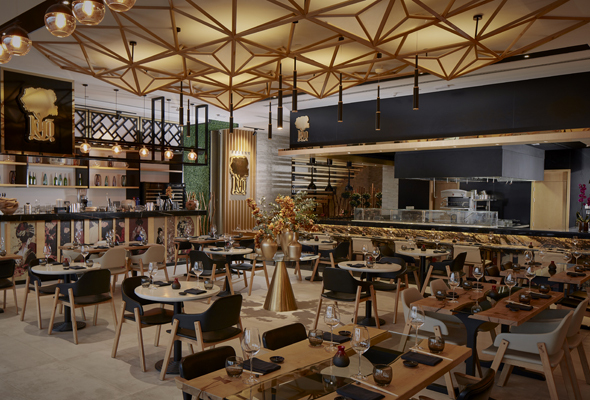 Yet another new Greek restaurant in Dubai has arrived, this time at new Palm Jumeirah destination, The Pointe. The restaurant, lounge and sprawling al fresco terrace enjoy expansive views over the Arabian Gulf , while on the menu guests can expect a playful menu reminiscent of traditional Greek cooking. Menu highlights include the creamy tarama, almond crusted feta cheese, and lamb chops from the Josper grill. Formerly found at Golden Mile Galleria Mall, Kyo has moved to The Pointe and is now licensed. 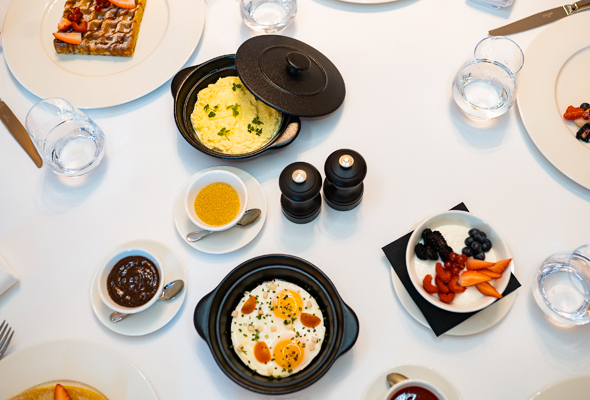 Split over two floors and boasting both in and outdoor seating, it’s home to a new Friday brunch which promises to take guests on a journey through Japanese cuisine. Mexican seafood is what’s in store at Palapa, another recent opening at The Pointe. 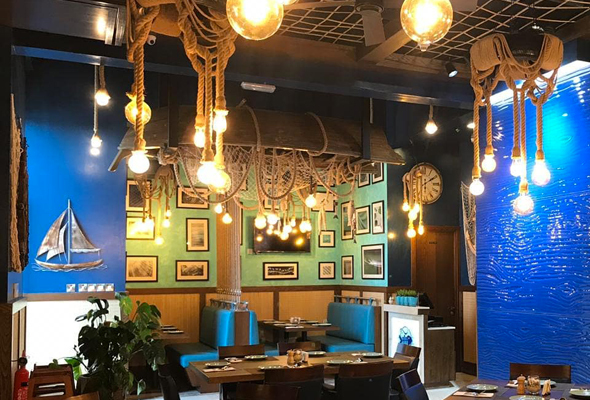 Offering a cosy, relaxed indoor and outdoor seating and sea views, it’s got a Latin American Hacienda feel, with an array of ceviche, taquitos, quesadillas and signature seafood dishes on the menu designed to remind you of the streets of Mexico. 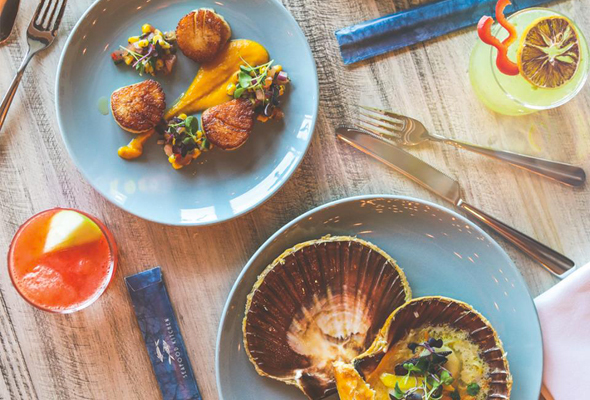 Described as a ‘hub for seafood lovers’, Hook & Cook is found on the first floor of The Pointe and serves up fresh seafood in nautical-inspired interiors, sea views and shisha every day. From the mind of two Michelin star Chef Mathieu Viannay, Rue Royale is a chic French eatery at The Pointe, Palm Jumeirah. 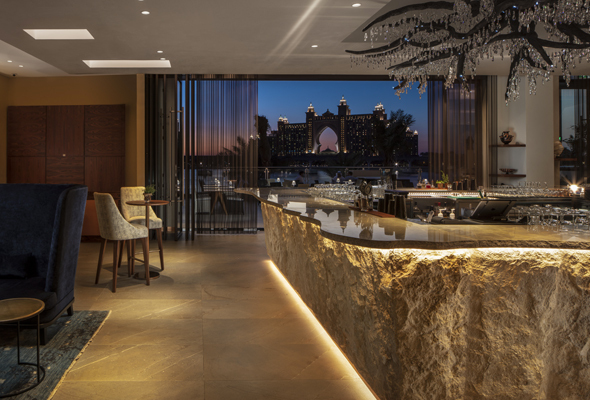 It’s got a Parisian tea-room feel with an outdoor terrace boasting prime views of Atlantis The Palm. Head down for breakfast and be sure to order the French Toast soaked in vanilla cream. The second serving of Seafood Kitchen has opened its doors on The Pointe. As well as serving up an array of fresh European seafood dishes, it runs some brilliant mid-week deals such as an mussels deal on a Tuesday, oyster night on a Wednesday, ladies’ night on a Thursday and a Friday brunch. Thai and Vietnamese dishes inspired by age-old recipes are what you’ll find at Mama Pho, the two storey Pan Asian restaurant at The Pointe. 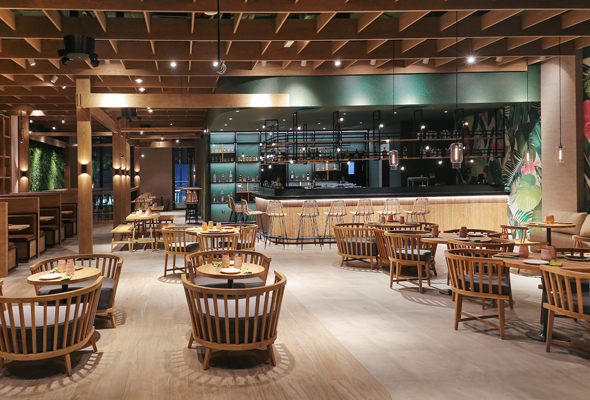 With rustic wooden furnishings and a relaxed vibe, it’s a great option for a laid-back midweek or weekend bite when you’re in the mood for some pho. 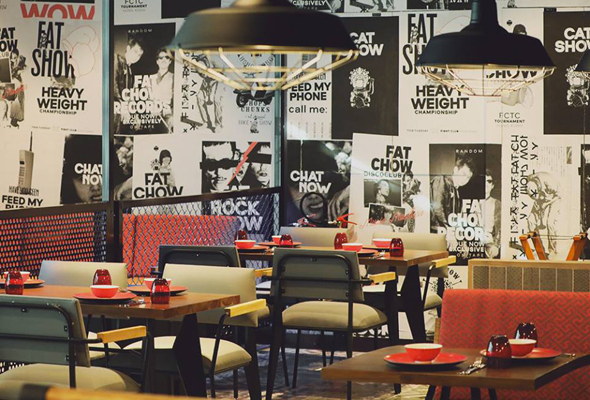 Follow the red neon lights of the Chinese dragon and you’ll find Fat Chow, a Cantonese restaurant now open for business. Menu highlights include peking duck, Cantonese chicken and chili crab. There’s also a fun, sharing menu featuring classic bites, soups, Dim Sum and Bao, as well. 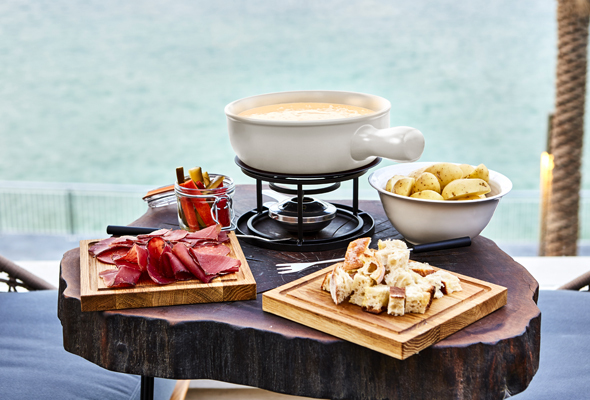 This European bistro is the latest waterfront opening at new Palm Jumeirah destination, The Pointe. It’s got both indoor and outdoor seating at its first floor location, and the menu reads like a roll-call of the most popular bistro dishes, that include steak tartare, chicken liver paté, grilled entrecote andd confit duck leg. Lighter bites include gourmet sandwiches and salads, with the menu finished off with an array of desserts such as crème brulée, apple tarte tatin or chocolate fondant. 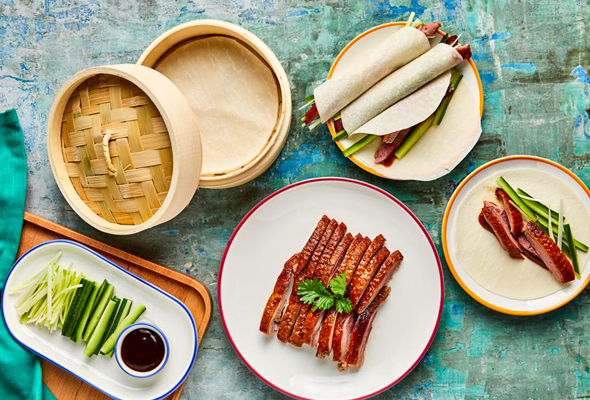 A modern take on an Asian street food hall, you’ll get an array of Pan-Asian dishes at this huge new eatery. It’s split into the wonderfully named Pad Thai Boulevard, Dumpling Mews, Ramen Route and Pho Lane. Each area is dedicated to serving popular dishes from across China, Japan, Thailand and Vietnam.